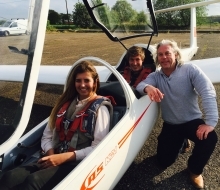 Not only does a glider flight make a great gift, it is also a brilliant way in to flying. Start young with an air experience flight. Vouchers available now! We have been flying for a long time. Our club was formed over 50 years ago. Do something new and get flying with us like Steve did! 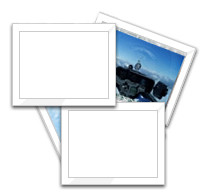 The location of Burn Gliding Club allows for year round flying and great soaring days. At Burn you will experience something more than just great views. The atmosphere and exhilaration of unpowered flight is simply infectious. Congratulations to Oliver Campbell, going solo in style on his 14th Birthday. We get people from all over the country who are celebrating something special. From birthdays to stag-do's, give something unforgettable. Around 90% cheaper than learning to fly powered aircraft, our highly experienced team of instuctors will take you under their wing so you can get yours! When you get stuck into a day's gliding, everyone is guaranteed to learn new ways of working together whilst sharing amazing experiences and amazing stories. Big congratulations to Charlotte who has just got her wings at the age of 16! Making her the youngest solo member in the club ... and one of youngest in the UK. 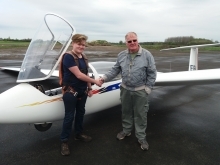 Paul Jackson 57, an Audio Software Engineer from Sowerby Bridge became our newest solo glider pilot, at Burn Gliding Club. Paul start flying as a Hang-glider pilot then moved on to Flexwing microlights at Rufforth. 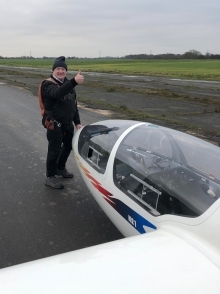 After noticing the gliders flying at Rufforth Gliding Club, he was keen to progress to gliding and joined Burn GC in September 2018 as it was a friendly club and it was easier to get to. Paul was sent solo by Instructor Keith Springate after he had completed a faultless check flight on the day. 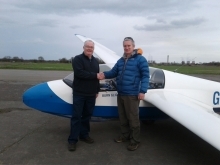 One of the most popular members, Alan Martin 72 went solo on Saturday 19th January. Instructor Martin Ellis sending him solo after a successful check flight. John from Mirfield is our latest member of the club to go solo. John has been a member of Burn Gliding Club for nearly three years now but like many of our members he has an extremely busy lifestyle running his own Blinds & Curtains business.John was sent solo by Dave Peters who is one of the clubs past CFI's. 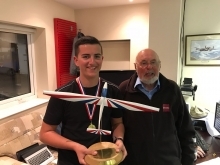 Benjie 15 won the Intermediate Category of the British Glider National Aerobatics Competition at Saltby in August. Pictured here with his trophy and Ron Jubb a previous winner. 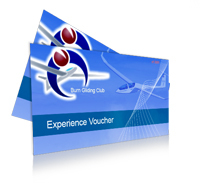 An air experience flight voucher can be purchased through this website. We offer a once in a lifetime trial lesson/air experience flight for an experience to remember. Single flight option for one person - Either a Basic, Standard or Mile High Premium Aerotow. 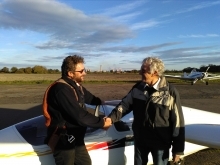 Fred Kirk achieved his goal of re-soloing 50 years after his last glider solo. on Thursday 30th June. Deputy CFI Mike Howey carried out a check flight before sending him solo. 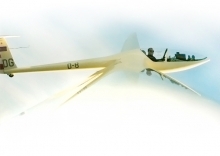 Burn Gliding Club offers prospective pilots something unique in Northern England. Situated on the Burn WW2 airfield just to the south of Selby on the A19, we have 3 hard runways allowing us to operate in all seasons; so when other clubs pack up for the winter, we just keep on flying. The affordable way to fly. We are recuiting for new members with special discounted introductory deals and offers - see the Vouchers and Prices pages. Staffed by volunteers, the club operates at minimal cost; keeping prices low to ensure our sport remains affordable to all. It's a great place to make new friends, learn something new and above all have fun. If you live locally just pop down to the club this weekend and see the facilities first hand, we will be pleased to show you around and answer any questions you may have. Not only are all the member and instructors, friendly and ready to help, but the flying at Burn is truly excellent. In summer the area is abundant with natural thermals and wave activity allowing you to stay airbourne for hours at a time. In winter we can rely on the local power stations - Drax and Eggborough to generate our very own exclusive thermals! Thought of learning to fly, but not started yet? Have you seen us on Look North or Glide Britain? We are actively recruiting new members to join our Friendly and Vibrant Club, learn to Fly and to share in our wonderful experiences flying over the Yorkshire countryside. Come and fly one of our Gliders - once you are in the air, Instruction is free. It's as easy as driving a car, so what's stopping you? Not sure how to join, or what Gliding is all about? Then click on CONTACT US link at the top of the page and we will be happy to tell you more and welcome you to our club. We had a successful ICL three day competition in difficult blue thermal conditions. We had six visiting clubs who all commented about how well the competition had been organised and how friendly we were. If you interested in entering the ICL at Sutton Bank next year please speak to CFI Dave Bell. 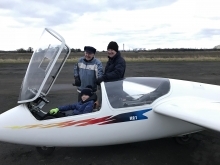 Sebastian Taylor who lives in Middlesbrough has been flying gliders since the age of 9. On the 22nd April nearly 3 months before his 15th birthday. Sebastian was sent solo by Assistant Instructor Tony Flannery. What made the solo flight a little more special, was it happened to fall on his 100th glider flight. Matthew on his 14th Birthday went solo last Saturday 27th January. He was sent solo by Tony Flannery making Grandad John Grandma Pat and Dad Richard very proud. So we now have three generations of Stirks flying at Burn. The BGA Glide Britain team landed at Burn on the 25th. Glide Britain is a project to raise the general awareness and understanding of gliding among the public at large and thus raise level of participation in this exciting sport. gliders but also vintage ones. We have a very active junior sector, you can fly a glider solo at the age of just 14. Gliding is safe, affordable, accessible, has no gender issues, you can fly solo at 14, gliders can be adapted for those with physical disabilities and above all, it's fun.